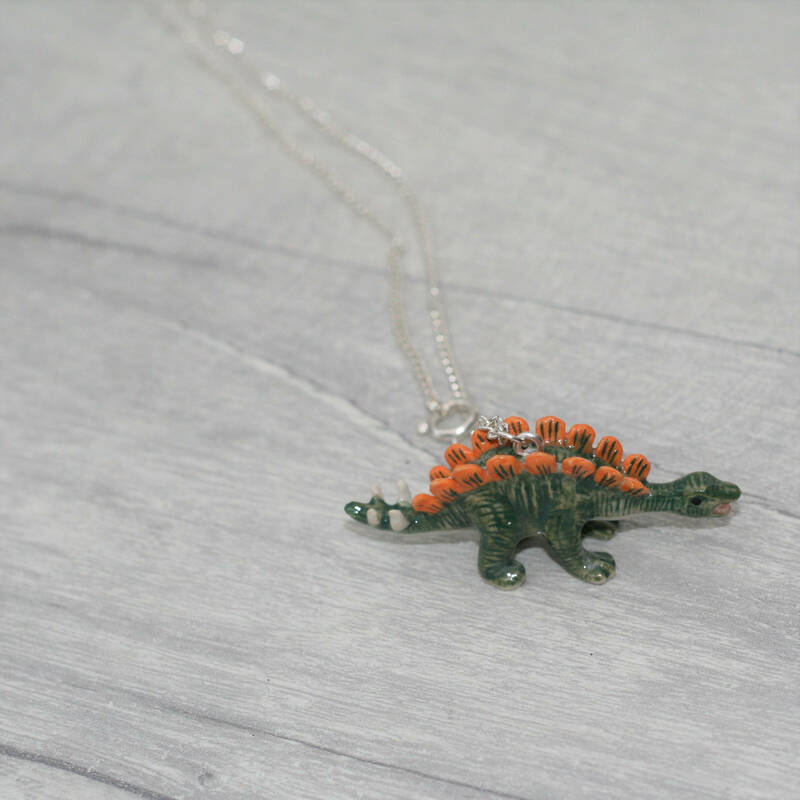 This pendant has been made attached a small porcelain dinosaur to either a silver plated or gold plated chain. 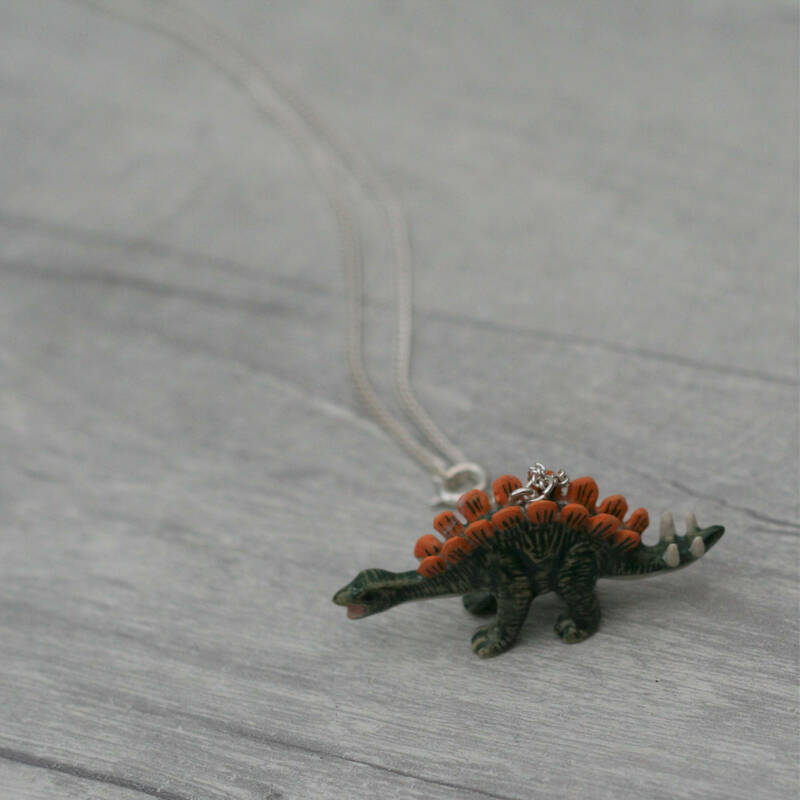 • The pendant is approximately 1.5" (4cm) wide. 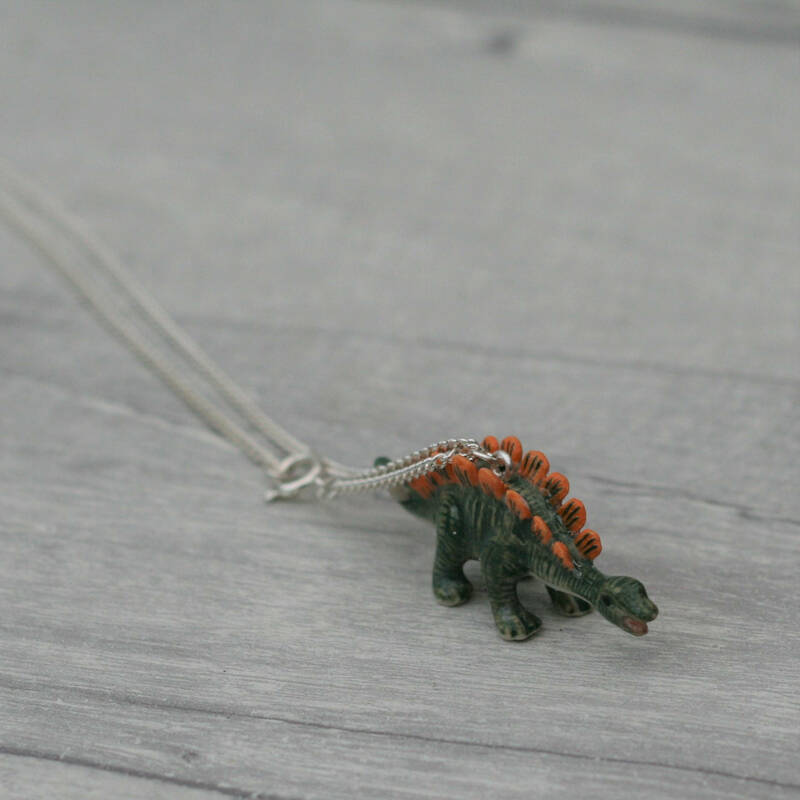 • This necklace is very lightweight to wear and would suit any dinosaur loving individual.